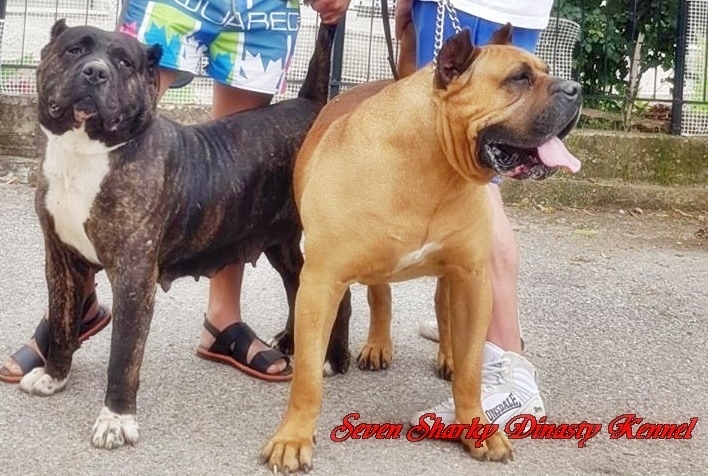 Perro de Presa Canario, Dogo Canario was created during the 18th century for the purpose of property and flock guarding as well as the holding and driving of livestock. The breed was also used for dog fighting, a tradition the English settlers transplanted along with their of Mastiff and Bulldog breeds. Canary Islanders consider these fights "honor fights" and not the sole purpose of the animal. They were used as guard dogs, and less often as farm dogs. Presa type dogs, dogo canario, were referred to as the "perro de la tierra" or "dog of the land." The breed became almost extinct after dog fighting was outlawed in the 1940s, but some breeders have managed to save the breed from extinction in the 1970s. This period is generally known as the reconstruction of the breed, with atypical specimens becoming less common.